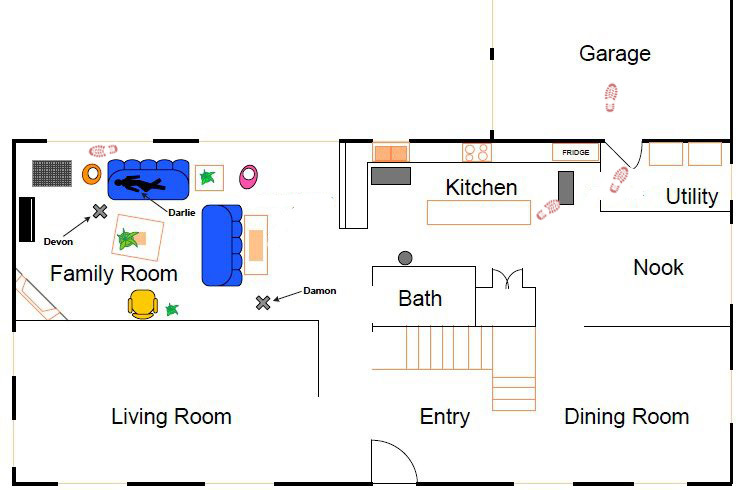 Much emphasis was placed on bare footprints which showed a path from the family room to the kitchen, and back again. 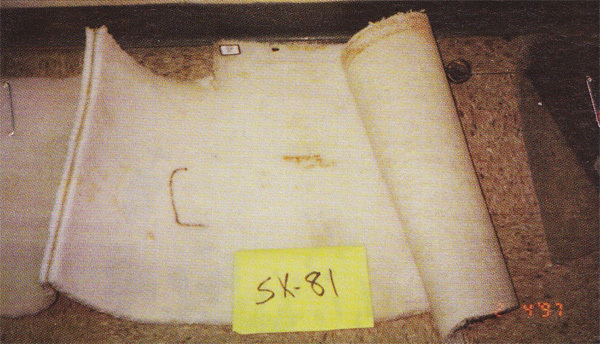 Those prints were identified as Darlie’s. The prosecution suggested the existence of the bloody footprints disproved her claims about an intruder entering the home. However, both Darlie and Darin stated repeatedly that Darlie made trips into the kitchen to get towels and to wet them. This is discussed in greater detail on this page. Their claims were supported by the abundance of bloody towels captured in photographs and described in various testimony. Far less attention was paid to shoe (or boot) prints, and patterns of blood that resembled impressions of shoes or shoe prints, throughout the first floor of the home. These prints are especially important because if an intruder entered the home, evidence of the person or people’s presence should have been detectable. Existing evidence supporting the belief that someone from outside the Routier home broke in, includes the fingerprints left in blood. These are described on this page. Given that the prosecution was attempting to discredit Darlie’s repeated claims about what happened in her home, one would expect the defense to have spent more time assessing suspected or confirmed shoe prints within the home. 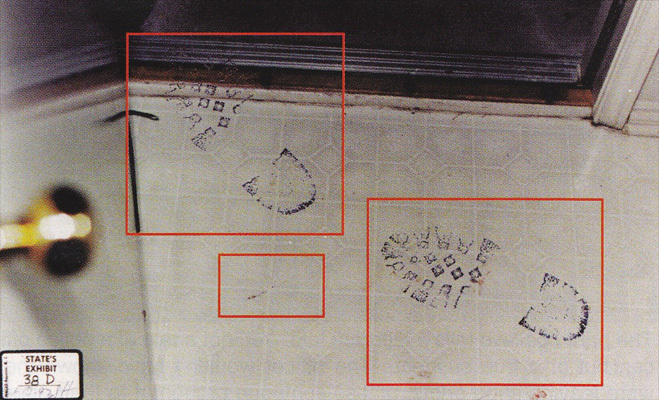 The defense touched on these shoe prints during the bond hearing and the jury trial, but there is no evidence showing the defense did any testing or examination of their own to prove or disprove the prosecution’s contention that any (or all) shoe prints in the home belonged to police and/or emergency personnel who entered the home. Both Darin and Darlie were barefooted when the police responded to the home. Lieutenant Matt Walling testified at Darlie’s trial that he checked Darlie and Darin’s shoes for blood but did not find any. By contrast, Officer David Mayne testified he observed what appeared to be blood on a pair of Reeboks belonging to Darin. The shoes were collected as evidence and tested. Blood from the shoes matched Darlie. This is discussed in greater detail later on this page. 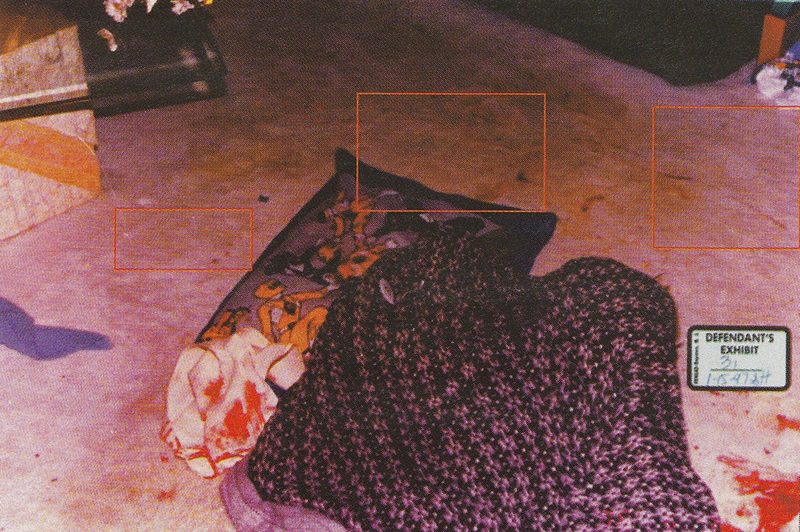 This page examines this subject in greater detail, using court testimony and photographs to provide a more dimensional view of this particular evidence. Blood was observed in the garage. 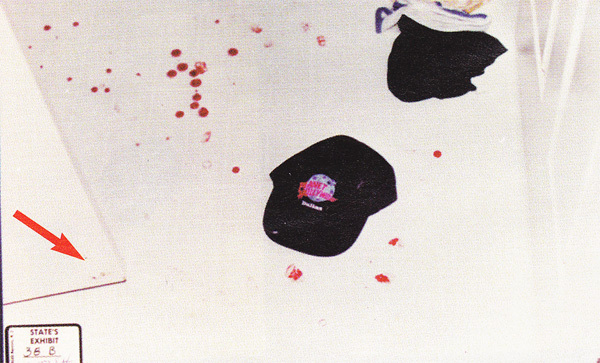 Charles Linch testified about seeing this blood during Darlie’s bond hearing under cross-examination by Douglas Parks. 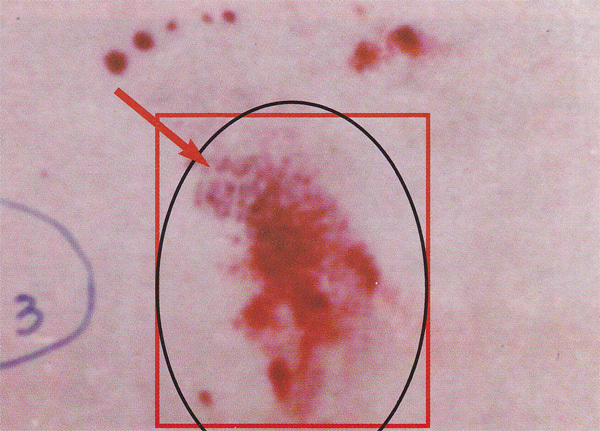 Linch was advised by James Cron that the blood had not been there previously. The problem with this claim is that there was no proof at all that an officer had tracked in the blood. Parks questioned Linch about the blood in the garage at the bond hearing. Douglas Parks: You indicated that you proceeded into the garage and saw some blood out there; is that correct? Charles Linch: That is right. Douglas Parks: Where was that? Charles Linch: There is – as you come out of the utility room and take a left towards the window, there is a freezer. Down in that floor, there was some sort of sign, plastic sign, maybe this big and there was some – not a discernible blood footprint, but a light shadow of transfer smeared type blood. Douglas Parks: Okay. Did it appear to be a footprint transfer? Charles Linch: It could have come from a shoe. Douglas Parks: You indicated that you were advised that it was probably left by a police officer? Charles Linch: I was advised that it was not seen earlier. Douglas Parks: Who advised you of that? The sign is shown in State’s exhibit 111-D. The writing and arrow were added by Christopher Brown, author of Media Tried, Justice Denied. James Cron testified about a possible shoe or boot print on the floor of the garage as well. He described a single smudge of blood about two feet into the garage (from the utility room). He claimed it had not been there previously and dismissed it as having been tracked into the garage by one of the investigators. He surmised the transfer of blood occurred as a result of someone stepping onto a small drop of blood and then walking into the garage area. However, he was asked if he went back to check to see if it appeared a drop of blood had been stepped on and he said he did not. The only proof the jury had that the blood was tracked in by an officer was Cron’s testimony. 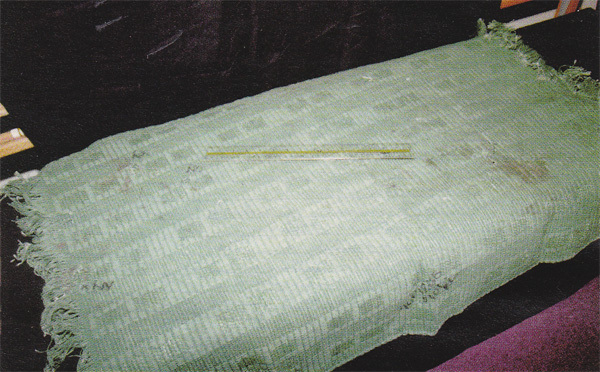 This print was not investigated as though it were a part of the crime scene (which it well may have been) and it was not attributed to any particular investigator. It is also not entirely clear if Linch and Cron referenced the same print since Cron did not say anything about the sign Linch mentioned. Were they even referring to the same thing? 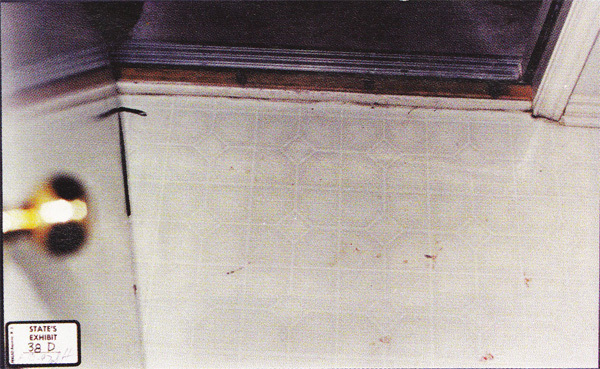 State’s exhibit 38-B showed a smudge of blood that was found on the bottom part of the utility room door leading into the garage. The outline of what appears to be a partial shoe print can be observed on the floor, appearing as though the door had come in contact with a shoe. 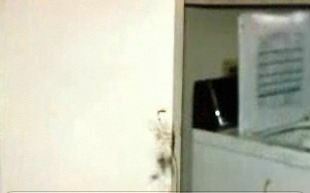 The bloody smudge from the utility room door was discussed at Darlie’s bond hearing as well. This testimony is located in Volume 5. Douglas Parks: What about on the door itself, going into the utility room from the kitchen, do you recall seeing any blood there? Charles Linch: Yes, sir, there was some – a transfer smear type on the inside surface, that also continued into the part of the door that fits flush with the door facing. Douglas Parks: Okay. What about the door that leads from the utility room into the garage, did you see any blood on that door? Charles Linch: Well, that was the door I was just talking about. Douglas Parks: That was the door you were referring to? Douglas Parks: Okay. Did that blood smear on the door leading into the garage also have at least a partial bloody fingerprint? Charles Linch:I don’t recall. I was leaving the identification and characterization of fingerprints up to the police personnel. A partial bloody shoe print was observed in the kitchen of the Routier home. James Cron, who testified for the prosecution, discussed this print. Greg Davis: Did you see bloody footprints that you believed to be of different sizes in the kitchen? Greg Davis: Now, did you ever observe anything in the kitchen that you believed to be a bloody shoe print? James Cron: There was a partial one. I did see one. The partial shoe print found in the kitchen was measured and photographed. Cron also testified the print was consistent with the heel of one of Walling’s shoes. The degree of consistency was not made clear in testimony except for Cron’s claim that it matched the brand and style that Walling wore. There is no information available about what the defense did (or did not do) to confirm whether or not the print really was a close match to Walling’s footwear. At Darlie’s bond hearing, Linch testified about what he believed was a shoe print behind the couch in the family room where Darlie and her boys were sleeping on the night of the 5th, going into the morning of the 6th. Douglas Parks: Okay. In the den area, where the boys were found, besides blood and hair, did y’all collect any other kind of evidence? Charles Linch: I asked – or it was done, that a strip of carpeting behind the couch, between the couch and the glass doors to the back yard, was cut up and collected. Douglas Parks: Why was that? Charles Linch: There were what appeared to be some foot impressions on it, bloody foot impressions. Douglas Parks: From a bare foot or a shoed foot? Charles Linch: I don’t know. Douglas Parks: Were photographs made of that? Douglas Parks: Have you done any testing on that piece of carpet since you had it cut out? Charles Linch: I have not, serology, or DNA may have. Douglas Parks: Is that in the kind of shape where you will be able to determine whether it was made a bare foot or a shoed foot? Charles Linch: These were not distinguishable patterns. If it were a shoe, you couldn’t include or exclude shoes, in my opinion. I would – the more I think about it, I would have the opinion that it was a shoe, more likely than a bare foot. The carpet containing the partial shoe print was depicted in State’s exhibit 81. 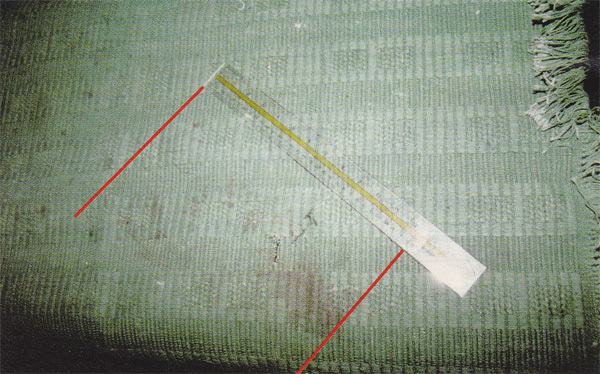 Officer David Mayne testified that he removed the above strip of carpet containing “a possible shoe print”. Where did it come from? Who left the print? Brown, the above referenced author, examined photographs to identify other possible shoe/boot prints. In his book he provided photographs of areas that resembled shoe prints. 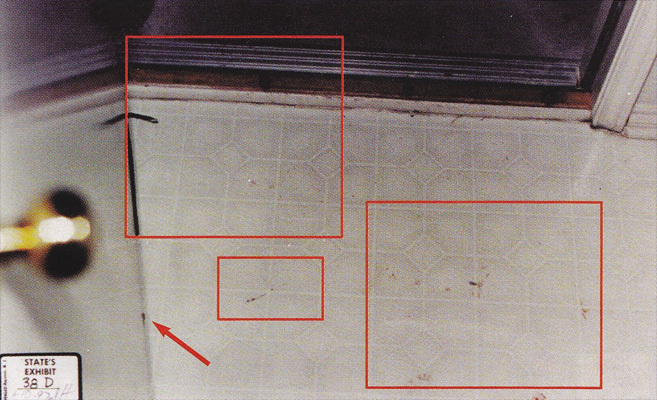 The following is a picture of Defendant’s exhibit 31, showing possible shoe prints left tracked in blood surrounding the area where Devon was photographed. The following depicts a pattern that looks like a partial shoe or boot print. 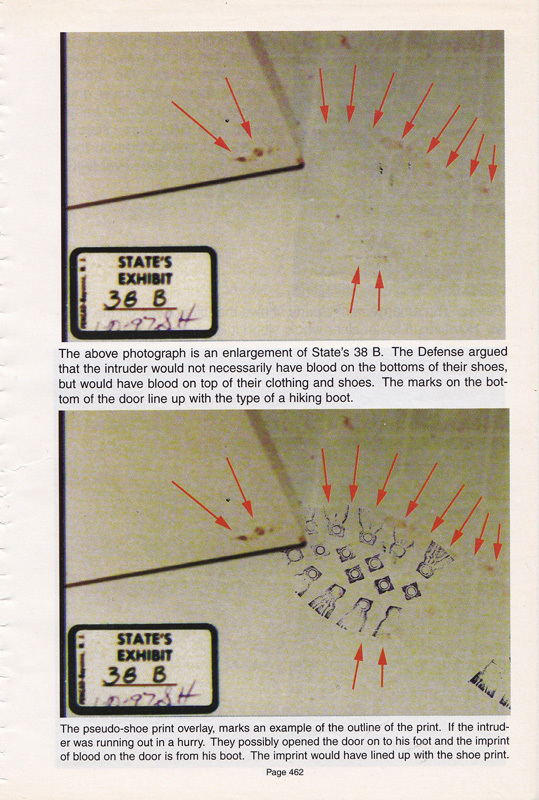 The following, is State’s exhibit 38-D. Brown provided a photograph of the exhibit in his book, emphasizing what appear to be partial shoe prints leading out of the utility room. Another interesting observation in this photograph is a small half-moon shape that looks like the outline of part of a knife. If that is what the photo shows it supports Darlie’s claim that the intruder dropped the knife onto the utility room floor while exiting. Here is the original State’s exhibit 38-D. Here are the areas Brown pointed out in his book. 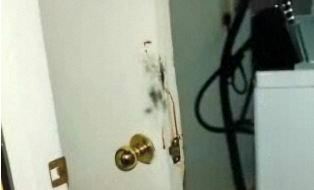 The arrow depicts the smudge of blood on the utility room door. 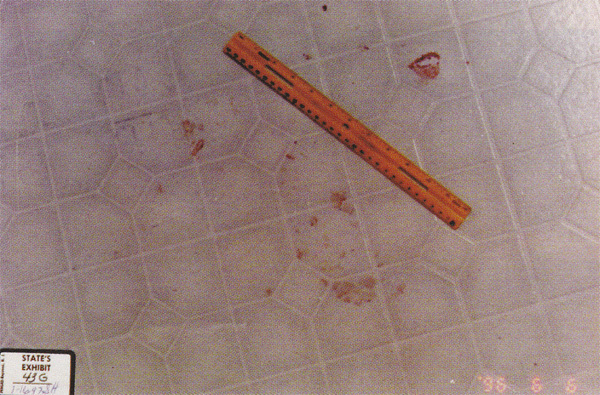 Brown used an overlay of a shoe print to demonstrate how the impressions made in blood match up to a shoe or boot print. Another possible print on a rug from the Routier home. 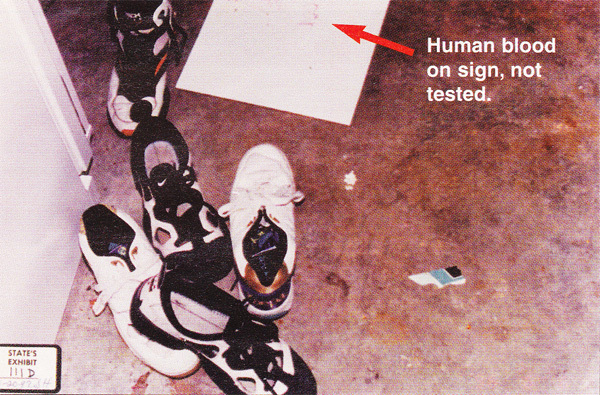 During Darlie’s trial, various people mentioned a pair of Reebok tennis shoes. Officer Mayne collected the shoes when he observed what appeared to be blood on them. The shoes were tested and the blood matched Darlie. 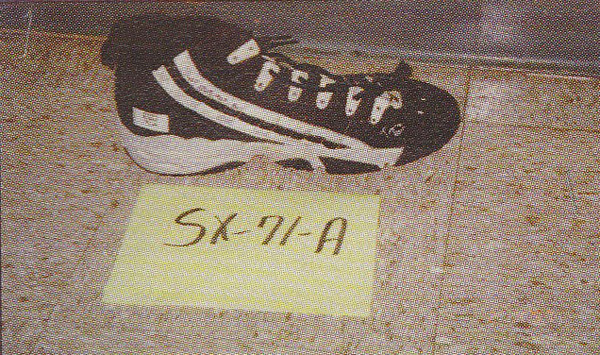 The same shoes were mentioned not to incriminate Darlie in terms of the blood evidence, but rather to link the sock that was deposited 75 feet away from the home in an alley way. 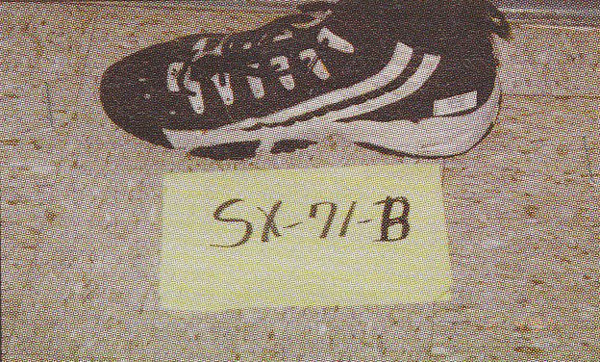 Photos of the shoes were entered into evidence as State’s exhibits 71-A, 71-B and 71-C. However, the shoes did not belong to Darlie. They belonged to her husband Darin. Greg Davis referred to the shoes as Darin’s during his closing argument. Oddly enough, the defense did not refer to this physical evidence as a means of casting doubt away from Darlie and onto the only other adult living in the household. The same was true in reference to hair evidence found on the knife believed to have been used to stab at least one of the Routier children. That hair matched Darin also. This is not to say that Darin committed the murders; this is to say that physical evidence in the case pointed away from Darlie and the prosecution ignored the physical evidence in favor of circumstantial evidence. The defense had an obligation to raise reasonable doubt in Darlie’s case by emphasizing physical evidence that did not support the prosecution’s theory, but there are clear instances where they failed to do this. This is one of them. If the first scenario is correct it means that the crime scene was rendered unreliable by those charged with investigating it. 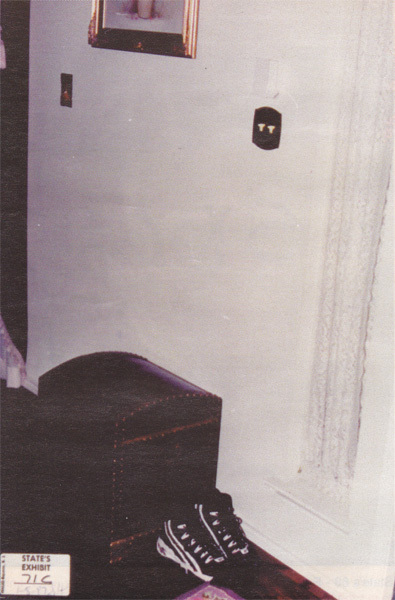 As evidenced by exhibits entered throughout the trial, various items were moved around in between photographs. There is no question that the crime scene was contaminated. The only question is to what degree? Moreover, what evidence was lost or ignored as a result? The existing shoe/boot prints warrant further examination. Below is a map depicting the locations of some of the shoe/boot prints discussed above. A red foot print is used to denote the approximate locations of some (not all) of the partial shoe prints. The direction of some of the prints, such as the one behind the couch and by the patio doors and the one in the garage, are unknown. This map only depicts approximate location of the prints. The directionality of the print in the kitchen, located by the aisle, reflects Cron’s testimony. There appeared to be more than one partial print in the utility room. Additional areas resembling partial shoe prints exist but are not all shown here.